2018 has been a fantastic and exciting year for us at Aviationtag and that is all because of YOU! We are very grateful for your loyalty and ongoing support and would like to thank you for that. Now that Christmas is approaching, we would like to provide you with the latest information about our opening times and also about the cut off dates if you would like to put your Aviationtags underneath the Christmas tree still. 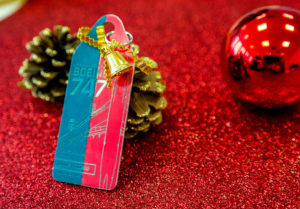 You would like to make someone happy with our Aviationtags for Christmas? Magnificent idea! That will surely work out well if you order early enough and follow our recommendations. If you are using Economy Class Shipping with Deutsche Post, it is highly unlikely you will still get your order before Christmas, unless you are in Germany or in Central Europe. In this case you should not order later than the 13th of December, however we cannot guarantee that you will still get it in time. Obviously delivery times are out of our control and those guys are extremely busy. 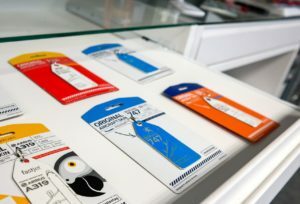 However if you want to make sure you will still get the Aviationtags before Christmas, we strongly recommend you use the First Class Shipping with DHL Express. Cut off date here is the 19th of December for Germany and Europe and the 17th of December for the rest of the world. After this date you might have to use the Aviationtags as a New Years gift. Our office is closed from the 24th of December until the 2nd of January 2019. There will be no shipping in this time. As of January 3rd, we will start sending out your orders again. Our office is really closed from the 24th of December until the 2nd of January 2019. Unfortunately your emails, messages in social media or phone calls will have to wait until January 3rd. On January the 3rd business will commence as usual and you can even start to look forward to a new Aviationtag soon. We wish you and your loved ones a Merry Christmas and a wonderful new year!